With these questions in mind, Manta offers an engaging primer on the history and current doctrinal landscape of legal responses to sexual fraud. She uses trademark law as a useful analogue to the problems of sexual fraud in online dating and offers a framework for a state law response to sexual fraud in which behavior that amounts to false advertising subjects that person to civil liability. She concludes by suggesting that this legislative framework could be operationalized by offering claimants access to expedited proceedings in small claims court. As a civil procedure scholar, it is this last piece that I find most intriguing (and which is, presumably, of most interest to JOTWELL Courts Law readers). At the outset, I applaud Manta for incorporating a procedural aspect into what is otherwise a mostly substantive discussion about the merits and drawbacks of permitting or designing causes of action for sexual fraud at all. Procedure is often an afterthought in substantive policy or legislative proposals. For our part, proceduralists are sometimes less attentive to the substantive components of our ideas than we should be. Manta recognizes serious barriers to enforcement of claims for sexual fraud and realizes that some are as much procedural as they are substantive. Many plaintiffs would not have the financial (or, frankly, emotional) resources to file a lawsuit in a court of general jurisdiction where the filing costs might dwarf any recovery, where litigation is slow and expensive, and where proving actual damages might be a significant barrier to a meaningful recovery. To counter these procedural problems, as well as to crystalize a coherent cause of action, Manta proposes a model state statute that essentially sets statutory damages for sexual fraud at a level below that state’s jurisdictional limit for small claims court. It is easy to see the appeal of such a proposal. Small claims court enables claimants to file lawsuits without the expense or need of retaining counsel, paying hefty filing fees, and engaging with the other costly processes associated with litigating in a court of general jurisdiction. Although these are noble aspirations, the reality of small claims courts may be at odds with Manta’s stated goals. The hallmarks of small claims courts (besides their low jurisdictional limits for amount in controversy) are relaxed procedural and evidentiary rules and a norm of proceeding pro se. Given the nature of a claim of sexual fraud, there may be problems with encouraging plaintiffs to file suits in a system that does not treat evidence and witnesses with the same rigor as courts of general jurisdiction. As Manta acknowledges, claims of sexual fraud involve a good deal of “he said, she said” controversy. Whether the plaintiff would have engaged in a sexual relationship but for the lie told by the defendant may be difficult to prove in a procedurally abbreviated format. Even the facts that Manta considers straightforward might be “easy” to prove, but nonetheless expensive. Take, for example, the question of whether the defendant lied about his or her marital status. The plaintiff would need to produce some sort of record of what the defendant said on his or her profile. This information is easy to change, and save for the plaintiffs who are savvy enough to take screen shots (which should really be subject to evidentiary authentication), that information is in the hands of the dating app rather than the plaintiff. This information is not impossible to obtain. But getting records from a third party is expensive and requires procedural savvy – precisely the sort of process that Manta wants to spare complainants in these cases. Even the question of marital status requires some work. A recalcitrant defendant can essentially force a plaintiff to unearth a marriage certificate or corroborating witness in discovery to prove marital status at the time in question. These questions differ from “typical” small claims cases, such a garden variety suit between a home owner and a contractor, where the parties are largely in possession and control of a few key documents or other easily captured pieces of evidence. In other words, the defendant in these suits can easily put the plaintiff to her proof. And any law or system that would abbreviate such rights of the defendant and allow the plaintiff to prevail more-or-less on her own assertions should give everyone serious pause. Sorry as I feel for people who have made heartbreaking choices based on false information, the judicial system is especially solicitous of protecting the rights of defendants on claims involving either sexual conduct or fraud. A claim of sexual fraud carried serious moral weight, even if Manta’s statutory penalty is low. And I am uncomfortable with applying a system of relaxed evidentiary rules and abbreviated procedures to these claims. One source of this discomfort is that such a statute could hurt women more than men. Manta believes that dating app sexual fraud is perpetrated more by men than by women. But given a recent study showing that in online dating men’s desirability peaks at age 50 whereas women’s desirability peaks at age 18, women are under significant (and understandable) pressure to misrepresent their age. This lie could be the source of many, many claims. And to funnel these cases into a system where people have a limited ability to defend their reputations, or to do so at what is ultimately a much higher cost than typical small claims court promises, is dicey territory. Finally, even if one were to set aside reservations about having these sorts of claims proceed in low-jurisdictional-limit courts, there are reasons to tamper enthusiasm about the efficacy of small claims courts. These courts offer abbreviated procedure; they do not always offer meaningfully abbreviated timelines. While cases in small claims court are resolved faster than those in courts of general jurisdiction, it can still take 6-12 months of waiting and hours in line at the courthouse for a 5-10 minute hearing before a judge. Moreover, small claims court judgments are notoriously difficult to enforce. One study found that only 55% of small claims court judgments resulted in any payment to the plaintiff at all, and that when judgments were collected, they amounted to about 31% of what the plaintiffs were actually awarded. Having stated those words of caution, I still think that Manta makes a significant contribution. Few scholars are as specific about exploring the connection between cause of action, remedy, and a meaningful forum for enforcing that remedy. I wish that Manta had engaged further with the difficulties of small claims courts. 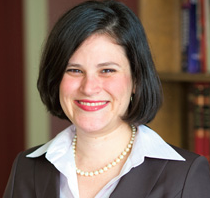 Although this might be perceived as a damper on enthusiasm for her idea, it is actually an opportunity to reinvigorate scholarly dialogue about litigation and dispute resolution in alternative public forums. Procedural and substantive scholarship could benefit with such engagement. Manta’s proposal is an excellent starting point for this kind of scholarly dialogue. Cite as: Robin J. Effron, Lies, Dating Lies, and Small Claims Court, JOTWELL (September 25, 2018) (reviewing Irina Manta, Tinder Lies, ___ Wake Forest L. Rev. ___ (forthcoming 2019), available at SSRN), https://courtslaw.jotwell.com/lies-dating-lies-and-small-claims-court/.